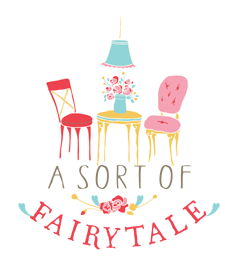 A Sort Of Fairytale: Follower Appreciation Fairytale Giveaway! I have an exciting Giveaway for you! come to visit my little ol' blog. who are as excited about decorating, handmade, and vintage as I am! You have until Sunday July 30th at Midnight to enter. I'll announce the winner on Monday, August 1st. I will sign the winner up for the subscription of their choice to be mailed directly to them. Thank you for having such a wonderful giveaway! I'm always so excited to see when you have a new post up. They are all so colorful and happy! ...and I'm already a follower! Country Living has always been my favorite but I've never tried 2 of these listd. Hi I am a new follower, love the blog, Romantic Homes is a great mag, all of them are! I currently get, and have gotten for years, Country Living. LOVE IT! Can't wait for it each month. The others look very interesting, and I would love to try any of them. What is your favorite? I have been a follower of yours since, I don't remember when, but you are GREAT! This is a Great idea for a giveaway!! I'd have to choose either Romantic Homes or Romantic Country. And I'm already a follower! Thanks for the opportunity to 'get lucky'! Well, how nice, Stacey! Country Living has just always been my favorite, and been around forever. I won't be able to afford magazine subscriptions for awhile, so throw my name in for when mine runs out! You know I'm a loyal follower and would apt follow you to the ends of the earth. Hi I have just found you and I am now following. Please enter me in your Giveaway. I would love Cottages & Bungalows. I am a follower now too. That's a great idea for a give-away! I'm a follower and a fan! You got rain last night? We finally got some this morning. Yippee! What a great giveaway, because I am a magazine-aholic. I'd love to start finding Cottages & Bungalows in my mailbox! Love your blog, and I'm a follower! I'm an awesome GFC follower of your awesome blog :) I love this giveaway! Thanks for joining Market Your Biz and Giveaways. Let's see, my favorite magazine is Romantic Homes. But if I were to win this giveaway, I'd use it for Romantic Country since I've been wanting to get a subscription from that mag for awhile! Cottages & bungalows please, I am a follower. so sweet of you to do a give-away, stacey. i'm a long time 'country living' fan. can you believe all the rain we're getting? Hey, my friend, I'd love to be entered in your giveaway. And, I'd love a new mag to drool over. I think I'd like Cottages and Bungalows. I haven't experienced that one yet. Thanks!! I put a sidebar graphic on our blog about your giveaway! Hi Stacey - I would love to receive Country Living. And I k ow what you mean about connecting with people who get excited about the same things..I love that too!! I've been reading Country Living for many years - since I was a young bride actually. 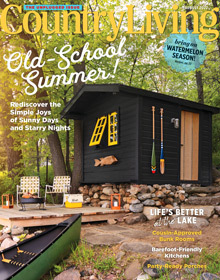 It's a great magazine, but my favorite was Cottage Living. With that gone, I do miss my cottagey fix ! I've never read any of the other three, but they all intrigue me, especially the Romantic County one since I live in a lavender victorian ! I'm your newest follower ! hello, hello! sorry it's been a while. what a generous giveaway. of course i love all of them and subscribe to all except country living (the form is in my pile of bills -- i guess that's the cause for the delay: guilt!)! so, if i were the lucky winner that's the one i would choose. hope all is well, sweetie! Great give-away. Cottages and Bungalows is terrific, makes me forget I'm living in a 1 and 1/2 bedroom condo! Such a great giveaway! I like Country Living the photography in it is always wonderful! I've been a happy follower! I'm a huge fan of Country Living and have a subscription. Romantic Home is on my wish list! I follow A Sort of Fairytale. Thanks for the great giveaway! i would choose cottages and bungalows...a new to me magazine. i'm a faithful follower! hope i win. Great idea for a giveaway! If I won, I would want Romantic Homes. I found a few old ones at a thrift shop and fell in love, but I can never find new issues anywhere. Put me down for 2 chances, you had me at red and aqua so I'm following you! And my favorite mag for decades is Country Living, love them all though! country living would be my choice...thanks for a great giveaway! Romantic Homes would be my favorite! I just bought the Romantic Country and that was fun, too. What a fun giveaway! ....and I am already a follower! Thanks for your generous giveaway. I love them all, but I would choose Romantic Country. I love Cottages and Bungalows, so throw my name in the hat, please! These are great magazines. My top pick would be Romantic Homes. I'd love to be entered - I would choose Country Living. I would choose cottages and bungalows. What a lovely giveaway - my choice is the Romantic Country magazine. I was directed to your blog via Free Pretty Things for You. I've become a follower of your blog as well. What an amazing give-away. The hard part would be which magazine to choose...Romantic Homes I think. Wow, I became a follower yesterday, Rednesday, just because your blog is so much fun. I found your giveaway today when I have finally had time to see your other fun posts. I love Romantic Homes. It is always so much fun to have a blogging friend or a fellow Etsy seller featured in it. It would be wonderful to be part of your drawing. See you later! What a wonderful giveaway. I am a follower and would love to get Romantic Homes. I don't think I've read any of those before but Cottages and Bungalows sound good. Cottages and Bungalows!! I used to get Country Cottage Magazine before the discontinued it, so this would be lovely to win!! thank you. I love Romantic Homes but would love to see a copy of Romantic Country as I've never seen it in my area. Please enter me in your contest. Thanks! I am also your newest follower. Thanks for the 2nd entry into your contest! Oh yes! I am a follower. I like your style! Country Living is my fav.... there used to be so many other too... but if I were lucky enough to win I'd love to receive the Cottages & Bungalows! 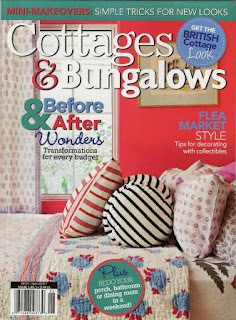 I am already a follower and would love to win a subscription to Cottages and Bungalows! Thanks. What a great giveaway! I like all these magazines, but Country Living has to be my favorite. I'm already a follower of your blog. Thanks! My favorite is CL but I just re-subbed so if I win, please put me down for C&B. All are good. I ADORE Country Living... that would be my most favorite. I do have a subscription but woould also like one for Romantic Country homes? Forgot to say, I am a follower already!